Food & Hotel Indonesia 2017 – The 14th international hotel, catering equipment, food and drink exhibition will return once again from 5 to 8 April 2017 at JI Expo Kemayoran. The well acclaimed exhibition is recognized as the premier one stop platform to source for quality culinary ingredients and F&B products as well as HORECA equipments and supplies to enhance upon hospitality experiences and drive industry productivity. The scale and international scope of Food & Hotel Indonesia 2017 is underlined by the participation of over 1,400 exhibiting companies from 44 countries, both locally and from overseas. This include 13 group pavilions from Australia, Belgium, China, Germany, Hungary, Korea, Malaysia, Singapore, South Africa, Taiwan, Turkey and the USA covering more than 35,000 sqm of exhibits area. The current improved economic condition in Indonesia can provide for better investment opportunities which will further enhance on economic growth. Indonesia's processed food and beverage industry is expected to grow 8.5 % in the 2016, slightly better than the 7.9% point growth recorded yoy. “The national food and beverage industry recorded a 9.82 percent growth, or equivalent to IDR 192.69 trillion in the Q3 2016. This figure is in fact higher than the growth of non-oil industry,” stated Mr Adhi Lukman, General Chairman of the Indonesian Food and Beverage Association (GAPMMI). Mr Adhi added that the contribution of food and beverages product exports, including palm oil has reached USD $17.86 billion in the January to September 2016 period. “This achievement has enabled the trade balance to remain positive in relation to the import value for the same period amounting to USD $6.81 billion.” Mr Adhi said. “Both domestic and foreign Investments in Q2, particularly in the food sector rose to Rp 24 trillion and USD 1.6 billion respectively,” emphasized Mr Adhi. Looking at the positive developments in the food and beverage industry, Food & Hotel Indonesia 2017 has become the industry’s exhibition of choice to attend. Wiwiek Roberto, Project Director, PT Pamerindo Indonesia, the show organizer, commented that the higher growth in the food and beverage industry will have positive impact on the upcoming Food & Hotel Indonesia 2017 exhibition. "Food & Hotel Indonesia 2017 showcases a comprehensive range of innovative products and solutions that will facilitate in improving the competitiveness of the local foodservice, hospitality and retail sectors enabling all professionals including business owners to gain access to valuable information and the latest innovations. In addition, prevailing established cooperation with global businesses can be further fostered leading to higher investments in the country,” she said. Food & Hotel Indonesia 2017, is notably the most established and reputable B2B exhibition for the food & beverage and HORECA sectors in Indonesia. Mr Tony Arifin Ng, Director - PT TOFFIN INDONESIA highlighted, `Food & Hotel Indonesia is the largest exhibition catering to food and hospitality professionals in Indonesia. We have always taken advantage of this event to launch our latest products from world’s best espresso equipment manufacturers. This year, Toffin will be collaborating with World Barista Champions to present Victoria Arduino Gravitech, VBM Technique, Hario, Eureka range of products and many more. A diverse range of products and services dedicated to the hotel industry will also be displayed at Food and Hotel Indonesia 2017. Ms Anna Nadia, General Manager - Hospitality Division – PT DUTA ABADI PRIMANTARA explained the significance of sleep comfort for hotel guests. At Food & Hotel Indonesia, we will convey valuable information on how critical quality mattress relates to the quality of sleep for each hotel guest. Food & Hotel Indonesia 2017 exhibition this year is enlivened with professional competitions such as the Salon Culinaire and Indonesia Coffee Event (ICE). The 11th Salon Culinaire 2017 is a chefs’ competition consisting of several categories: Pastry Display & Live, Artistic Display and Practical, Plated Food Display, Practical Cooking and last but not least, the Young Chef Junior Competition for participants below 25 years old. 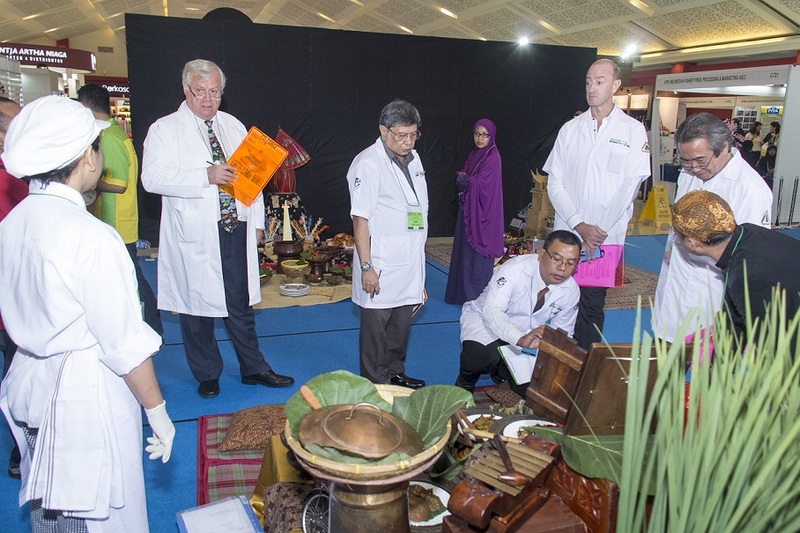 Salon Culinaire competition is organized by the Indonesian Association of Culinary Professionals (ACP), an association formed by practitioners with interest on the development of culinary arts and competencies in Indonesia. It is an outstanding event that enables junior chefs cultivate skills, motivations, self-confidence as well as proliferate upon culinary exchanges. The Salon Culinaire competition will once again involve many notable certified judges from the World Association of Chefs Societies (WACS). “This year the event will be more focused on bringing Indonesian cuisines to the next level. We will have classes such as Nusantara Lesehan, Indonesian Tumpeng, 3-Course Indonesian Set Menus for juniors, Indonesian Family Style Hot Cooking, Desserts Plated Indonesian Flavor and NEW this year will be Traditional Jajanan Pasar and Nasi Goreng.” Said Mr Stefu. Barista Guild of Indonesia (BGI), the Indonesia Barista professional organization sanctioned by Specialty Coffee Association of Indonesia (SCAI) will organize the Indonesia Coffee Events (ICE) 2017 alongside Food & Hotel Indonesia 2017. ICE 2017, held for the 6th edition this year, is a series of barista competitions organized primarily to assess the skills and knowledge of baristas in executing the entire process from extracting coffee beans to showcasing good quality coffee. This is critical as a good cup of coffee comes from the barista, and not only the bean itself, therefore they are very much on the industry front line. There are 4 competitive championships that are going to be staged comprising of Indonesia Barista Championship (IBC), Indonesia Brewers Championship (IBrC), Indonesia Latte Art Championship (ILAC), and Indonesia Cup Tasters Championship (ICTC). "We are delighted that the Barista Guild Indonesia has been commissioned to organize the Indonesia Coffee Events (ICE). We will organize each competition in accordance to internationally established standards from the panel of judges to the competition supporting facilities.” Said Ms Cindy Herlin Marta, Head of Committee of ICE 2017 and BGI secretary. (ICE) 2017 is going to be divided into 2 regional stages Eastern (Central Java, DIY Yogyakarta, East Jawa, Bali, NTT, NTB, Sulawesi and Papua) and Western Championship (Banten, West Java, DKI Jakarta, Sumatera and Kalimantan) where winner from the respective regions progresses into the semi final rounds on 5 – 8 April 2017 held at Food and Hotel Indonesia (FHI), Jakarta International Expo Kemayoran, Jakarta. 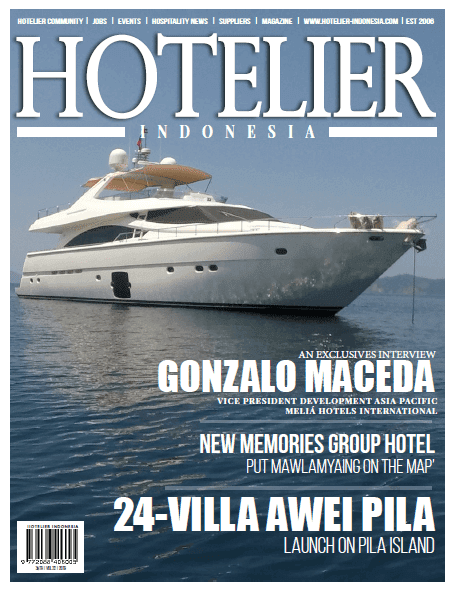 Food & Hotel Indonesia 2017 is supported by Ministry of Tourism and Creative Economy of The Republic of Indonesia, Association of Culinary Professional (ACP), Indonesian Cold Chain Association (ARPI), Indonesian Food & Beverages Association (GAPMMI), Indonesian Fishery Product, Processing & Marketing Association (AP5I), Indonesian Packaging Federation (IPF), Indonesian Retail Merchants Associations (APRINDO), and The Specialty Coffee Association of Indonesia (SCAI). PT Pamerindo Indonesia was established with the sole purpose of organizing specialized trade exhibitions for the Indonesian market. The company has grown considerably and now organises over 20 trade exhibitions in the Broadcast, Communications, Construction, Electric, Food & Hotel, Manufacturing, Mining, Packaging, Plastics & Rubber and Oil & Gas sectors. PT Pamerindo Indonesia is the leading trade fair organizer in Indonesia. Since its inception, PT Pamerindo has organized over 180 international trade exhibitions in Jakarta, Surabaya and Bali. PT Pamerindo Indonesia’s exhibitions continue to provide a quality platform for buyers and sellers to interact across a wide variety of industry sectors.